TENDER FOR CONDUCTING STRUCTURAL SOUNDNESS OF BUILDING AT KORNHAMNSTORG 4. The Admissions for the Master's program for the academic batch 2019-21, at Nalanda University, is Open. TENDER NOTICE FOR BATHROOM RENOVATION AT BRANTA BACKEN 2, DANDERYD, STOCKHOLM. 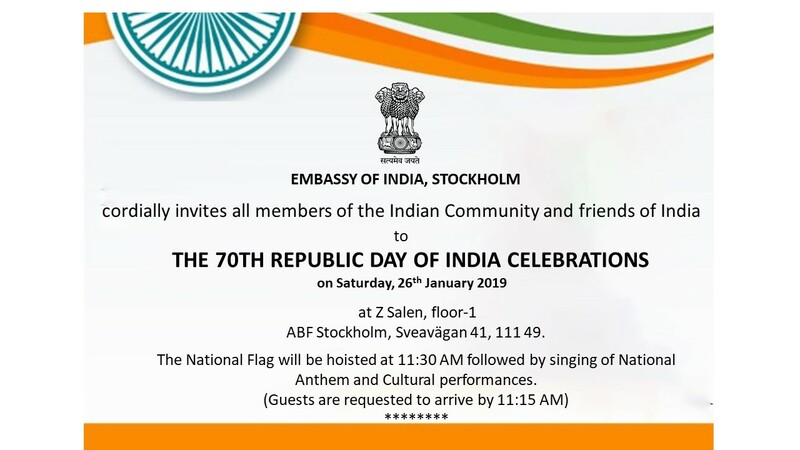 Embassy of India, Stockholm is Organizing "Students Day"